Pro Evolution Soccer, a franchise I have heard many things about. The most obvious one being that it’s the direct competitor of the FIFA Franchise. The last time I tried a game in this franchise, it was the demo for Pro Evolution Soccer 2015 and I wasn’t too fond of the sound design or gameplay in that game while others seem to enjoy it more. Well, after seeing some streams of one of the other Pro Evolution Soccer games, I wanted to give this years offering a shot. Customization – The one thing I give to this game over FIFA on the current gen (Xbox One/PlayStation 4) is that it has an awesome editor. Which it should have being that this game doesn’t have nearly as much of a soccer license as FIFA. I can edit pretty much everything and even import the real world kits for teams that aren’t licensed in the game. I like this option as it also give me a chance to make up as many team names as I want or change competitions into something I imagine. Graphics – Are they better than FIFA, yes with some of the models but not completely. I think Konami has done a great job with getting the majority of the popular players scanned for this game and bringing their likeness in full. This accompanied by the fact that even the replacement or created players look pretty good compared to its competition. Master League – After years of going through FIFAs Career Mode, this was a very nice change of pace. Plus with its license for the UEFA Champions League and other competitions, it really brings the mode to life. The other thing that makes this stand out aside from Champions League is the transfer window. During a FIFA career after the window shuts, it shuts for every league ever. That is not the case with PES 16 and Master League. The window shut for me, but obviously not every league works on the same transfer schedule. So while I couldn’t go after anybody, people were still negotiating for players on my team that were not in the same league as I.
Gameplay – Obviously being new to the game and playing a full game of Pro Evolution Soccer, there will always be something to compare it to experience wise. With that being said, the reason this ends up in the “Love/Hate” category because while there are some A.I. things and animations that look great, there are also sometimes where it doesn’t match up to FIFA. For instance, it seems a little slower for me to pull off a dribble move than in FIFA 15 or 16. However, that’s just one tiny bit to the full-scale of how defenders jockey more realistically in this game and seeing a defender pull off an interception has never been more satisfying to watch. Pro Evolution Soccer 2016 is truly one of those games that takes certain elements of the beautiful game and makes them as accessible and fun as possible. 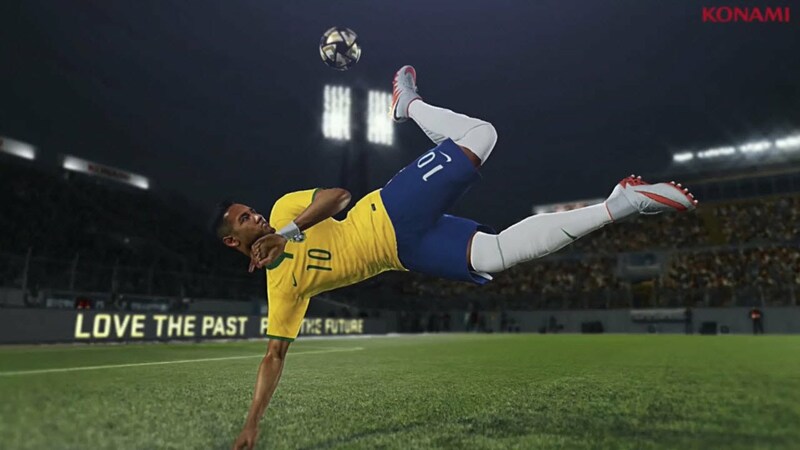 From its realistic gameplay to endless customization options, Pro Evolution Soccer 2016 is a must buy for those looking for an alternative to the EA Sports FIFA games.